Earlier this month, we completed long-awaited improvements to the CircuitLab server infrastructure. As CircuitLab has grown to be used by tens of thousands of engineers, hobbyists, and students every workweek, we've faced normal "growing pains" in our ability to keep the site up and working fast for you. Unfortunately, that led to brief intermittent outages or sluggishness for our customers, especially in the December and January timeframe. Our team targeted the critical areas causing these issues, re-engineering several of our server-side systems. In the past two weeks since we've deployed our improved back-end infrastructure, our site availability and performance are markedly better. We've also improved our monitoring systems that will allow us to more easily detect and solve these issues faster in the future. Thanks to all of our customers for your patience as we grow! 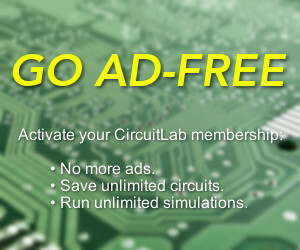 is it possible create the breadboard PCB of our electronics drawings by using CircuitLab?